Could stem cells offer a treatment for Parkinson’s disease? A team of scientists in Japan have demonstrated that neurons derived from stem cells can be used to treat the symptoms of Parkinson’s in monkeys. 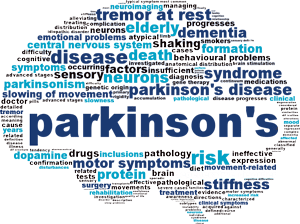 Parkinson’s affects around 1 in 500 people in the UK and is caused when dopamine-producing nerve cells degenerate and can no longer work effectively. Dopamine is responsible for sending signals to the part of the brain that controls movement; lack of dopamine is responsible for the jerky and uncontrolled movements symptomatic of Parkinson’s. In this latest study, dopamine-producing neurons were generated from induced pluripotent stem cells from the blood and skin of both healthy people and Parkinson’s patients. When transplanted into monkeys these cells were able to replace the missing nerve cells in the brain that result in Parkinson’s. The results are impressive. “the monkeys became more active after cell transplantation: moved more rapidly and more smoothly, and showed more various type of movements and less tremor”. The outcome of this study brings hope Parkinson’s sufferers, and trials in humans look set to start Scientists in 2018.